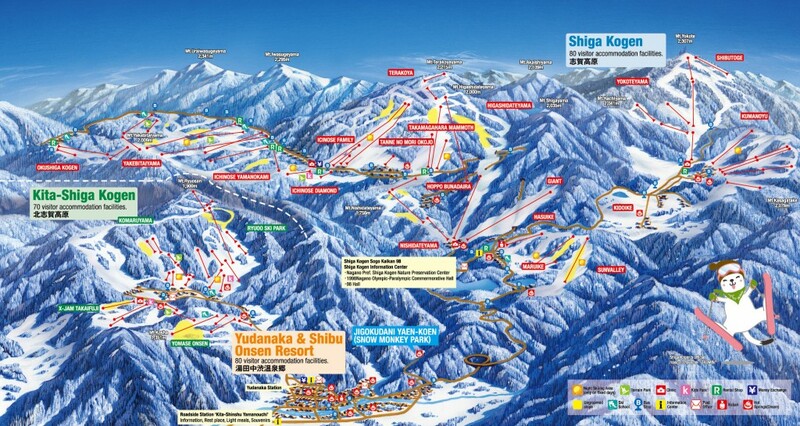 SHIGA KOGEN: NAGANO’S BIGGEST & BEST SKI RESORT! 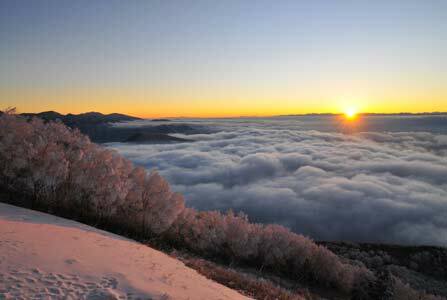 With more than 30 independent ski resorts, Nagano spoils winter visitors with choice! 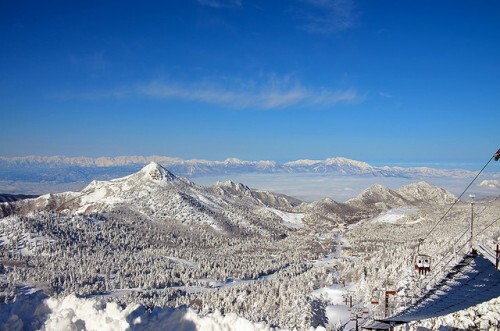 Among those resorts, Shiga Kogen is not only Nagano’s biggest area of interconnected ski fields, but it also tops in the list as the largest resort in Japan. So if you’re looking for the biggest and best resort to hit up this winter, our recommendation is definitely Shiga Kogen! 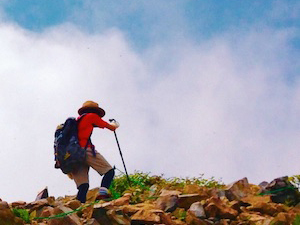 While Shiga’s expansive size – over 600 hectares of interconnected terrain covered by one all-mountain pass – can’t be disputed, the claim to being the “best” resort in Nagano is of course far more debatable. 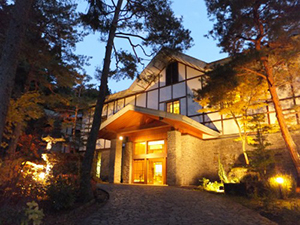 Nagano’s many resorts each have their own appeal and several can justifiably lay claim to being the best. Ultimately, it all comes down to what you’re after! But for us, Shiga Kogen’s size, snow quality and reliability, authentic atmosphere,longer season, and other great features make it the best ski resort in Nagano. We’ve said it before but it has to be said again, Shiga Kogen is not just Japan’s largest ski resort but also the largest in Asia. The seemingly endless expanse of terrain and ski and tree runs takes days to explore on what the locals invitingly refer to “ski safari”. 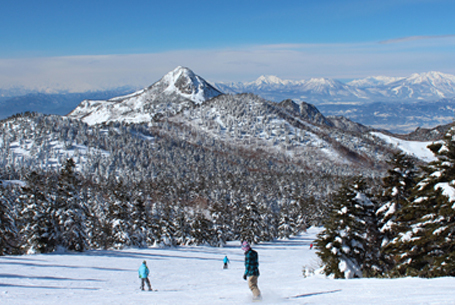 Shiga consists of 18 ski areas – some big, some small – including the Central Area, Higashitateyama, Yokoteyama, and Okushiga among others. 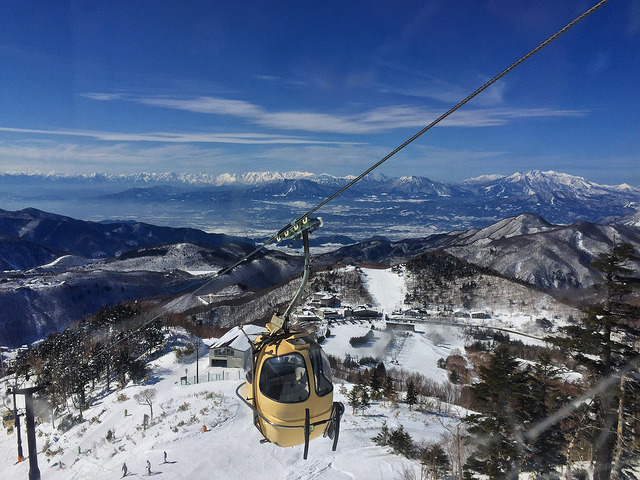 With the lowest ski areas starting at 1340 meters, Shiga is notably higher than the other Nagano resorts and ascends to 2307 meters with Japan’s highest chair-lifted ski run (as pictured below). 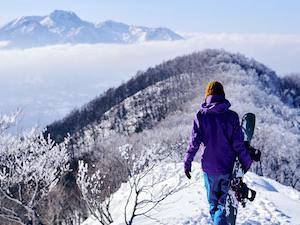 Interconnected by numerous chairlifts, gondolas, and shuttle buses, Shiga will keep you entertained for days and stands-out as the best choice for skiers and snowboarders looking for a long stay destination. 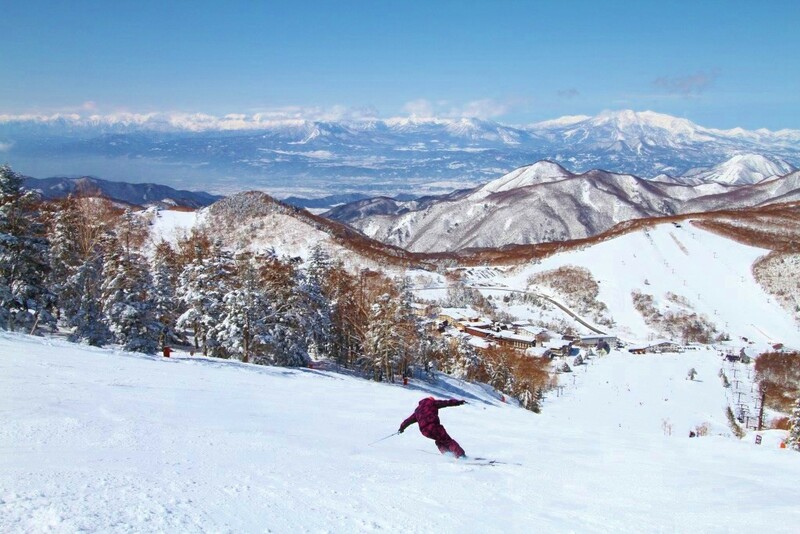 Not only is Shiga Kogen the largest resort, it also lays claim to the best powder in Nagano! The resort’s location away from the coast along with its mountainous topography and higher altitude combine to bless Shiga with large amounts of extremely dry powder which stays on the ground longer and in better condition than other resorts. As a result, Shiga experiences better powder and a longer season than most resorts including “spring season” skiing and snowboarding through April. Less developed than the resorts of the Hakuba Valley or nearby Nozawa Onsen, Shiga Kogen maintains an authentically Japanese atmosphere. Let’s face it, the whole point of travelling all the way to a Japan is to experience skiing and snowboarding at a Japanese resort! While the popularity of some other resorts has diluted their “Japaneseness”, Shiga maintains a distinctive and authentic character – one that will leave you in no doubt about where you are. Shiga Kogen attracts more Japanese than it does international visitors, adding to the local atmosphere. 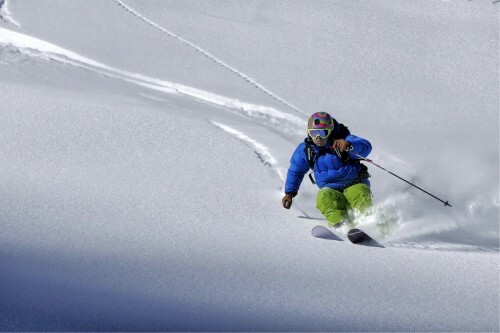 While the central ski area can be busy, as you move away and into the expansive ski fields that make-up the resort, many areas are extremely quiet (particularly on weekdays) and it is not unusual to have fresh powder runs all to yourself! Unlike Hakuba and Nozawa Onsen, you’re unlikely to get stuck in a queue for a chairlift or gondola or find yourself on crowded ski runs. 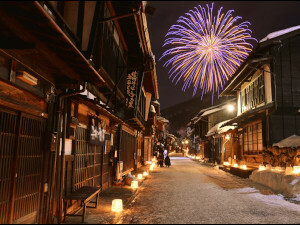 Shiga is less congested that the other popular Nagano resorts, giving you more time and space to enjoy the snow! 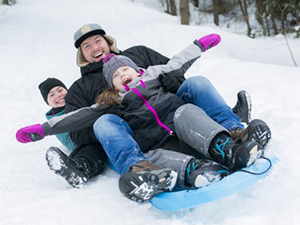 Spread across a vast area, Shiga Kogen offers visitors numerous accommodation options including ski in/ski out hotels and guesthouses in areas including Ichinose, Okushiga, and Yakebitai. 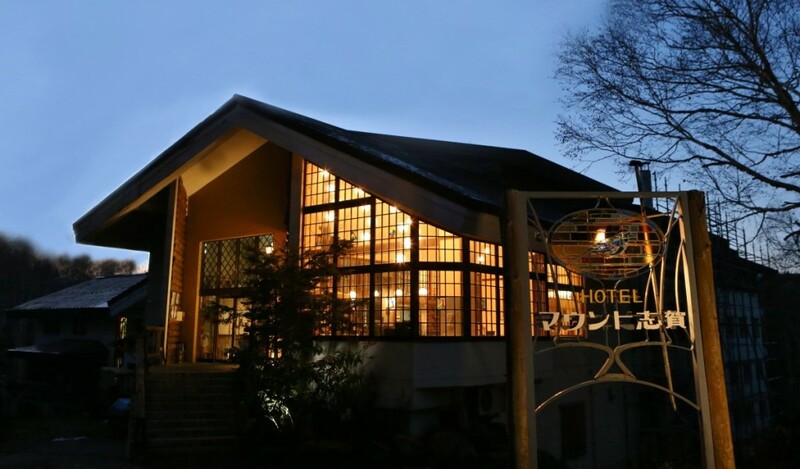 Ichinose Village has the greatest concentration of accommodation, restaurants, and bars including Hotel Mount Shiga, a great option for visitors looking for a good value ski hotel including in-house public bath and great meal service. 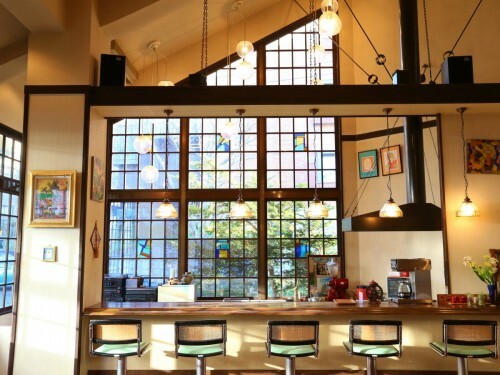 Shiga Kogen does not have the lively apres ski you’ll find in Hakuba or Nozawa Onsen, therefore if partying and the action off the mountain is as important as the action on it, it might not be the resort for you. However, there’s enough options around the central area to keep you entertained and you’ll always be able to find some great food and cold beers in Ichinose Village. 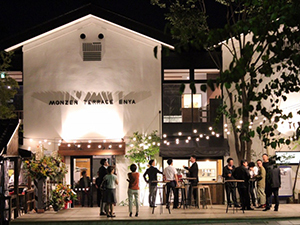 Shiga is the closest resort to the world-famous Snow Monkey Park and other popular destinations making it a great destination for visitors wanting to combine their snow adventures with visits to some of Japanese most popular experiences and cultural sites. 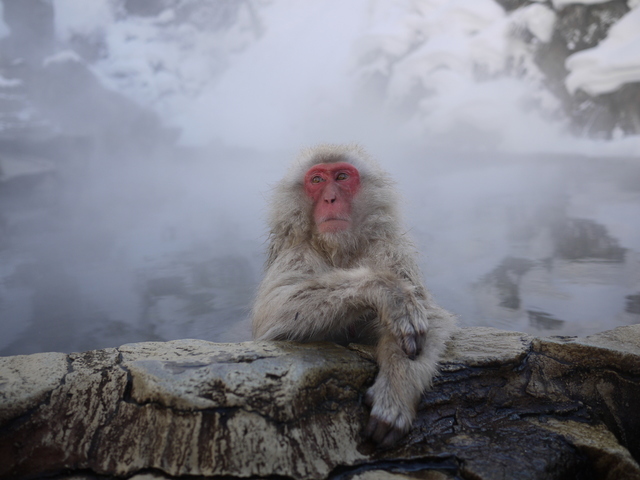 Established in 1964, the park is home to a unique troop of Japanese macaques – the only troop of monkeys in the world known to bathe in hot springs. Any winter visit to Nagano is not complete without seeing these curious creatures going about their lives in the midst of snow, and there’s no resort better located to do so than Shiga Kogen! 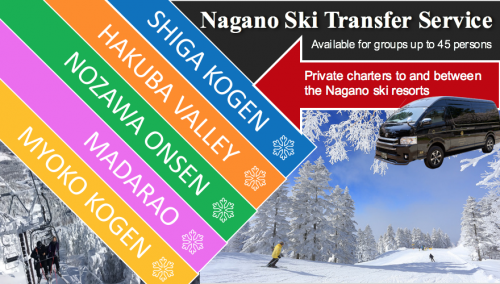 And for these reasons we confidently say that Shiga Kogen is Nagano’s biggest and best ski resort! Come and see for yourself! 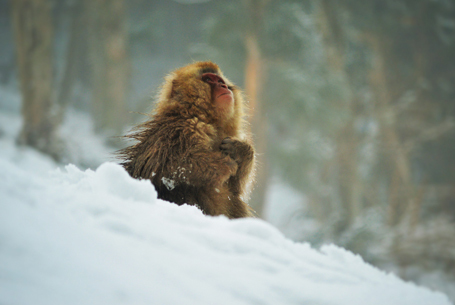 Snow Monkey Resorts is Nagano’s No.1 Tour operator, offering both 3 night/4 day and 5 night/6 day ski and snowboard packages in Shiga Kogen – the most convenient way to get the most out of your winter adventure in Japan! Including lift passes for the duration of your stay, accommodation at Hotel Mount Shiga, a fine dining experience at one of the region’s most renowned restaurants, our popular 1-Day Snow Monkeys, Zenko-ji Temple & Sake Tour, and transport from/to JR Nagano Station, our convenient packages take the hassle out of planning your trip and combine the best of Shiga Kogen with all that this beautiful region has to offer! 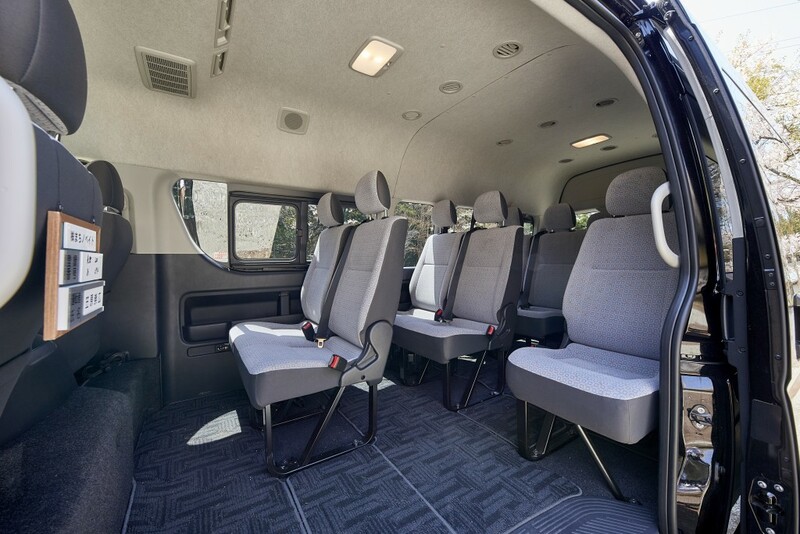 Shiga is readily accessible by public transport from Tokyo and its airports or via JR Nagano Station using the express bus service or train. 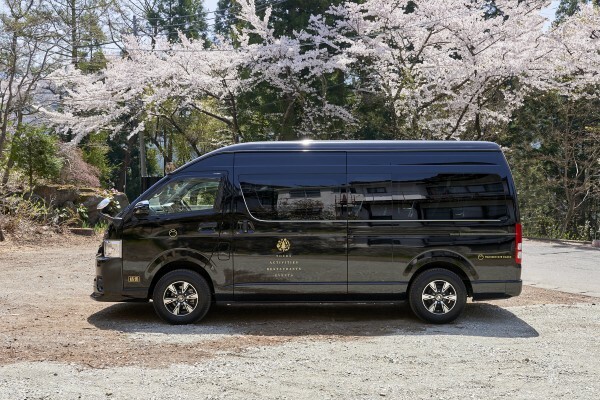 For visitors wanting the convenience and comfort of their own transport directly to Shiga Kogen (including transfers to and between other Nagano resorts), Snow Monkey Resorts operates a fleet of charter vehicles suitable for single travelers, couples and families, and groups of up to 45 persons. As a locally-based tour and charter operator, our vehicles and drivers are fully accredited and the best way to get yourself to Shiga and beyond this winter.